The Motorola Moto 360 smartwatch has been discounted down to $180 or $220 based on the configuration you select. The wearable was originally priced at $250 and the discount is being offered through Best Buy and Amazon in the US. While prices are largely identical across the two stores, there are a few discrepancies. Best Buy offers all of the metal variants for $10 less than Amazon. This includes the gold Moto 360, now going for $219. Best Buy is also offering the Cognac Moto 360 for $180, $100 less than what Amazon wants. 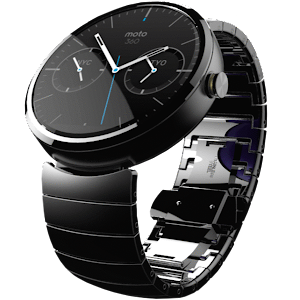 Still, that amounts to $250 metal Moto 360s going for $180. $300 black or silver metal watches are going for $220 or $230 depending on the site. The priciest option, the $330 gold metal watch, is marked down to the same price as the other metal bands. Its not clear why Motorola has chosen to discount the Moto 360 down to this price. It could be likely making way for the successor of its first smartwatch. It could also be Amazon's way of making the wearable more competitive against the Apple Watch, which has been building up a lot of interest around its launch.